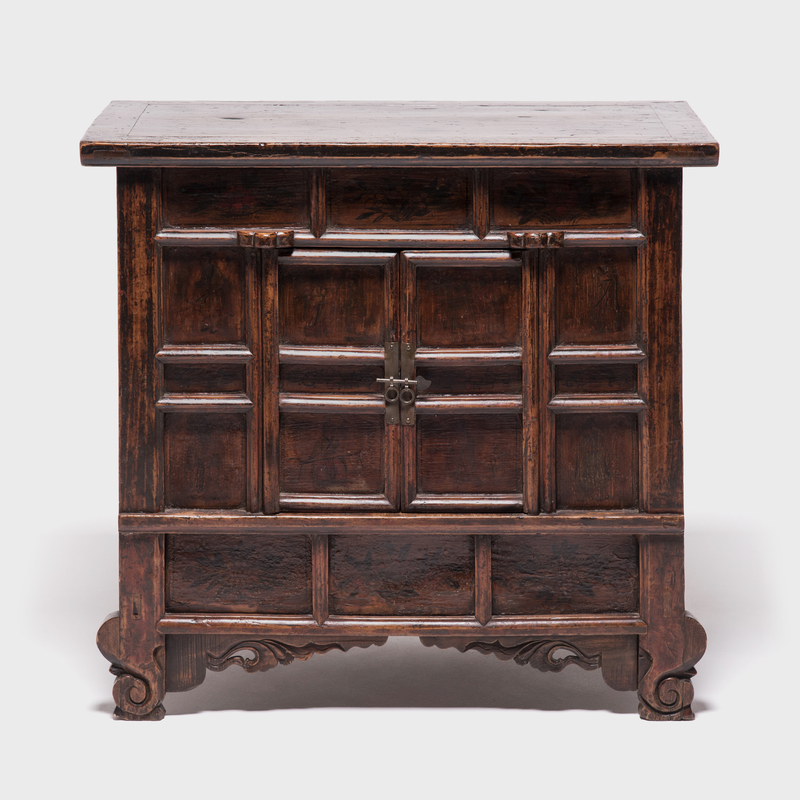 W: 64.5" D: 19.5" H: 33.5"
Crafted of golden walnut, prized for its open-grained texture and warm tones, this 19th-century chest balances the quiet flair of its cloud spandrels with traditional simplicity. 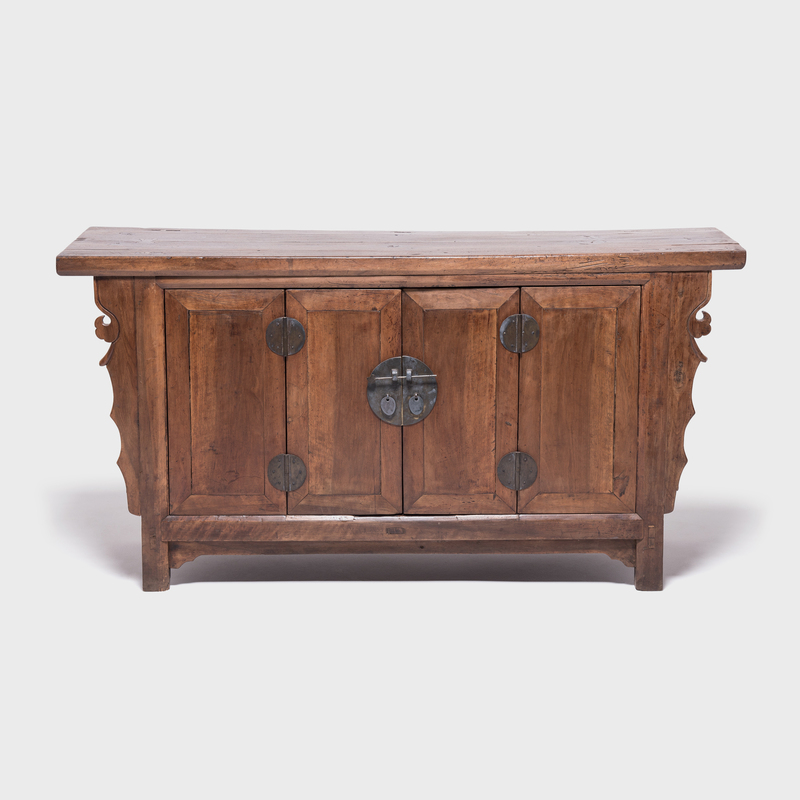 The plank top features a butterfly patch, a wabi-sabi mark of its tenacity. 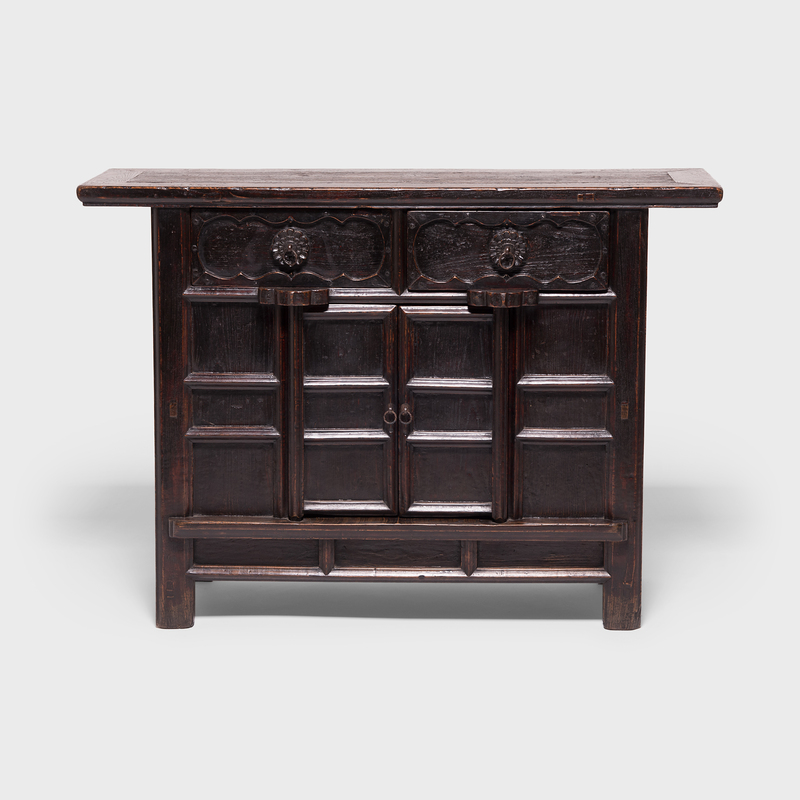 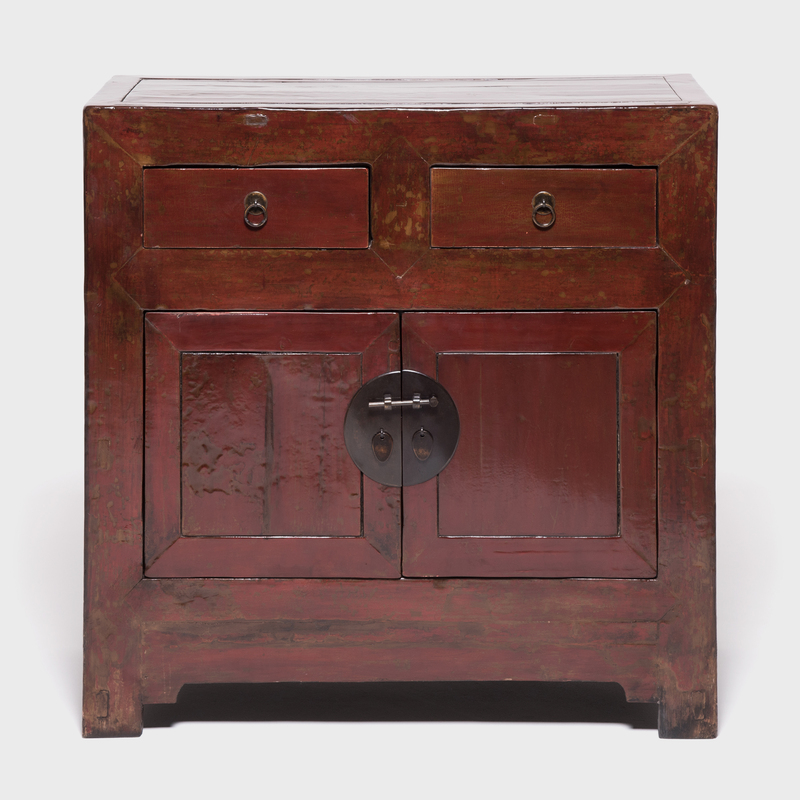 This versatile chest was originally a family altar with storage space beneath. 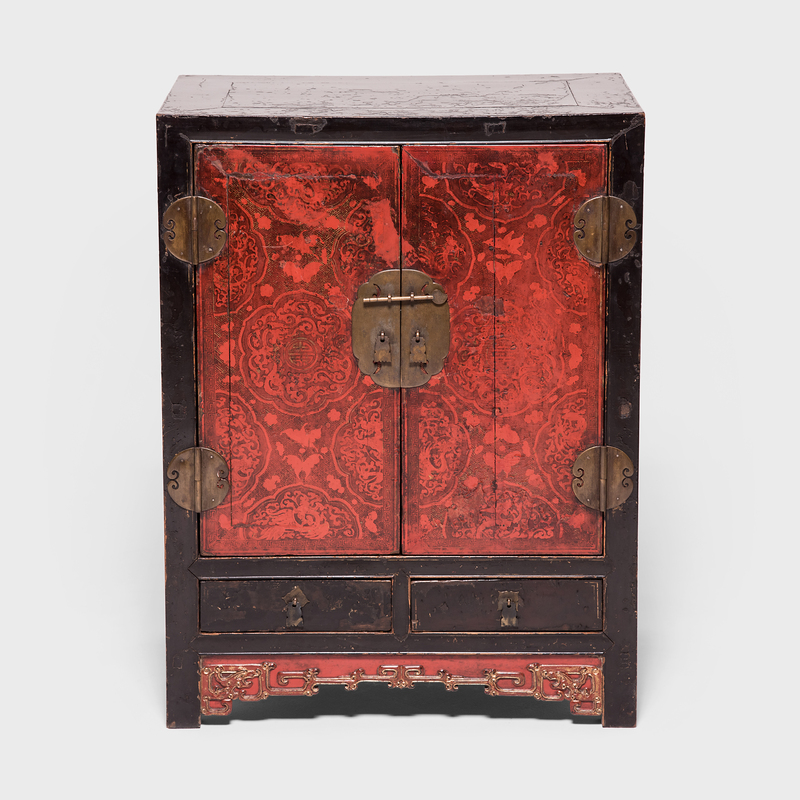 Today, it is enjoyed as a buffet, entry cabinet or for clothes in the bedroom.